Verizon is slowly trying to expand beyond being a "dumb" carrier pipe for wireless data or a cable provider. It snatched AOL for $4.4 billion last year, betting on creating digital content in times when the mobile revolution has started to subside, and the telecom market is becoming increasingly cutthroat, eroding Verizon's traditional strengths in network coverage and speed. AOL is the parent company of publication like the Huffington Post, after all, which is one of the most visited sites in the US. America's largest carrier isn't stopping here, though, and rumors have started swirling that it plans to scoop up another dimming star from the dawn of the Internet age - Yahoo. The aging Internet portal still has a huge user base, which is what Verizon might be after, and has been looking to spin off its core business, keeping the parent company only as a holder for Yahoo's precious stake in Alibaba, which recently made the world's largest IPO, valuing Yahoo's shares at about $30 billion at current prices. What would Verizon get if the Alibaba shares stay with Yahoo? 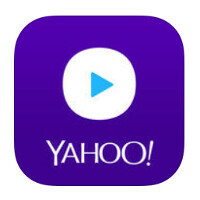 Well, the one billion strong Yahoo user base is a potentially big profit generator to serve video and other ads to, and Verizon is pushing adamantly to corner the video realm while it can, introducing free streaming services like Go90, which don't count against your data cap. In any case, Verizon's CEO has allegedly tasked the AOL chief to explore the Yahoo venue, and an offer might come pretty soon, it seems. Maybey they can fix there problems, Starting with their terribly slow email system! Yahoo is awful. I remember a company I worked for used Yahoo mail. Quite slow. Would they hire Marisa Mayer too? Why should they? She's made pretty piss poor decisions and questionable spending. Speaking as someone that once held a large number of shares prior to her joining and selling the rest after the tumblr acquisition. Wow I missed them buying AOL. I didnt even realize AOL was still a thing. I guess they were busy making money behind the scenes. I know some ppl who still have AOL email addresses.